This is the Sun. The surface i clearly visible with Sunspots and sharp detail. The atmosphere violently blur it out, multiple integrations are therefore required. 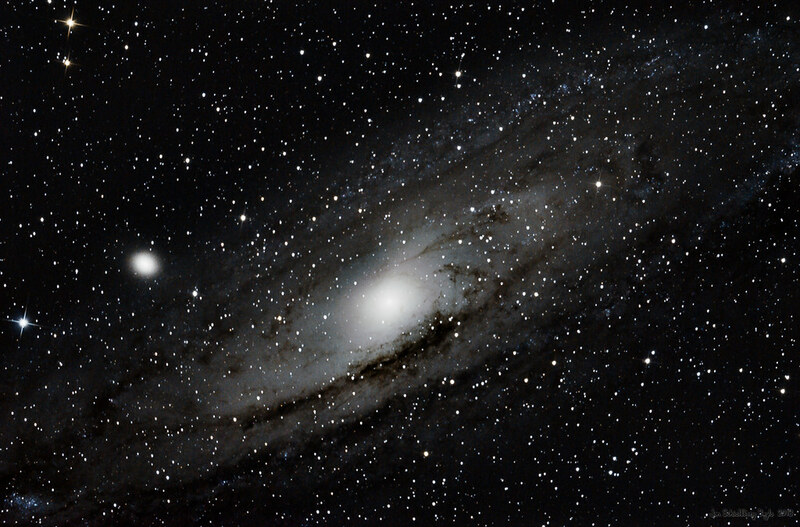 This is a composite of the sharpest 750 images out of 1450 in total. They have been aligned, stacked and sharpened in post to reveal more detail. View full-screen. 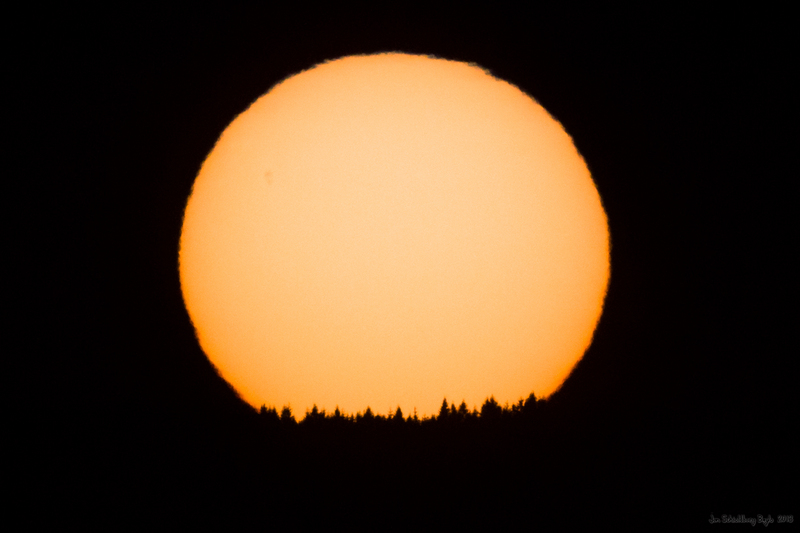 The sun is bright, even more so through a telescope. I use a filter that permit only 0.01% of the light to pass. I still use 1/1000s -1/8000s exposures. 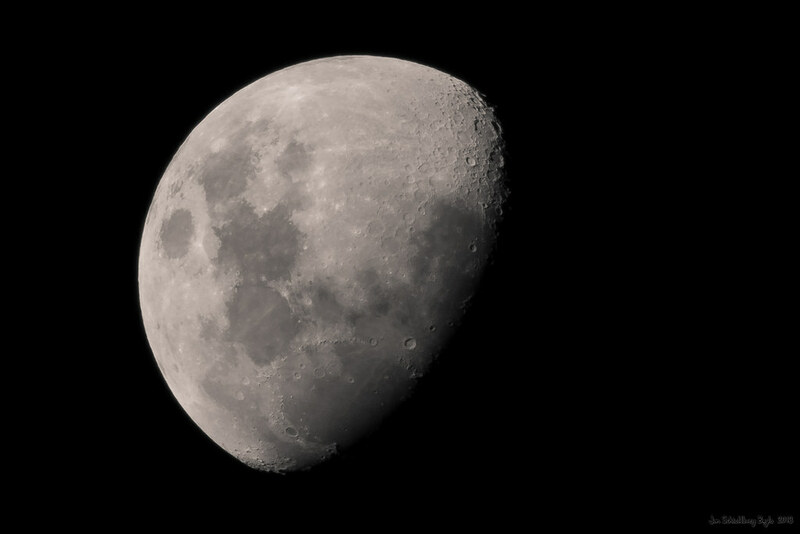 Equipment: 600 f/6 refractor, D700. Beneath, 750 frames vs one single frame. 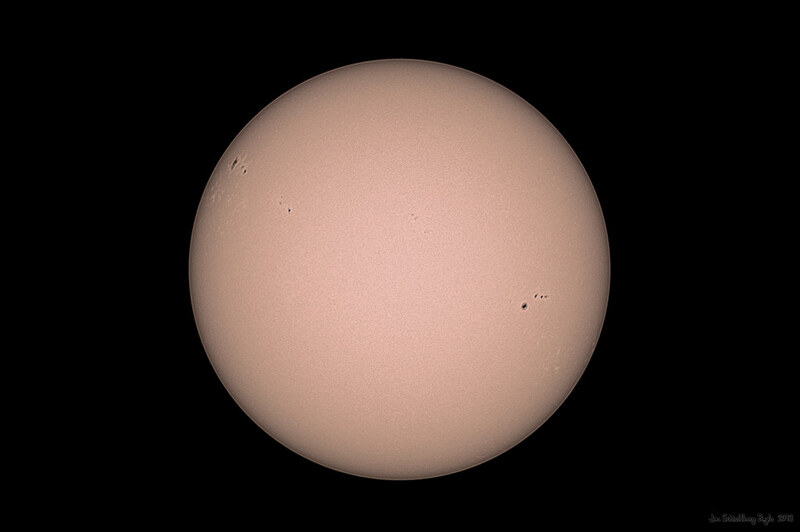 View the current state of the Sun. Installed flocking in my 1000mm f/5 Newtonian reflector. It is a microfiber material with small vertical 0.5mm fibers. Installing this on the walls inside the optical tube assembly, results in increased absorption of scattered light, further improving contrast. 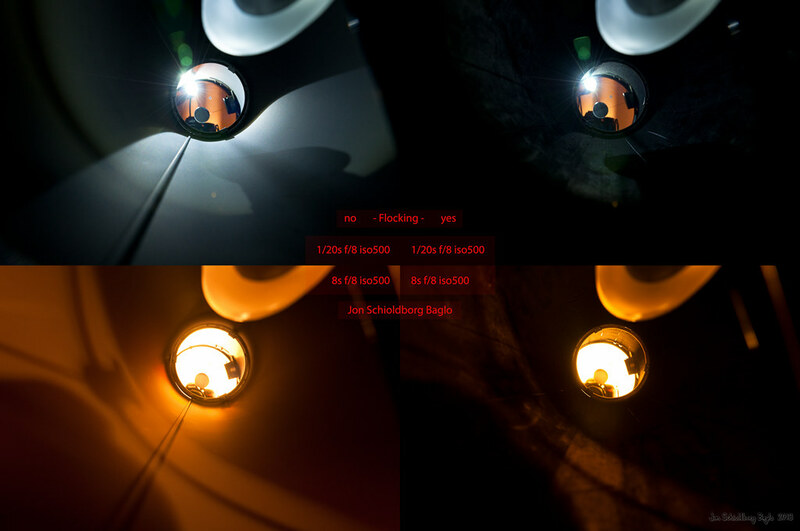 To compare, I made these before/after-images, they have the same corrections and therefore display the exact difference in light absorption, black paint vs. flocking. 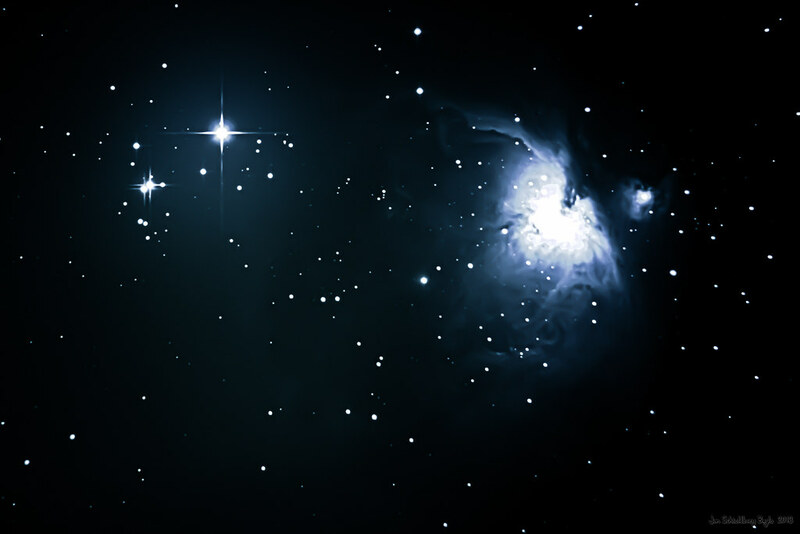 Distance to object, approximately 2.6 million light-years. 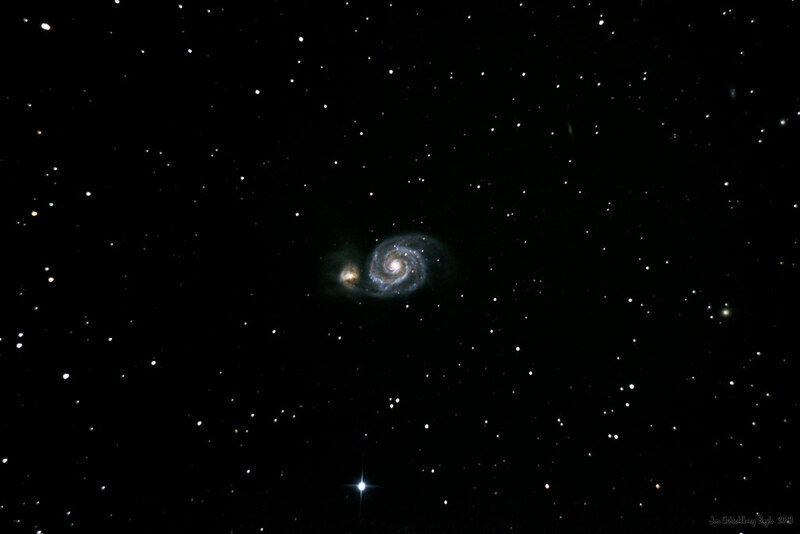 Whirlpool Galaxy (NGC 5194, NGC 5195/ Messier 51) + NGC 5169 + NGC 5173 + NGC 5198 + IC 4263. Distance to object, approximately 23 million light-years. The following are two edits of the same set of images. They both have heavy color corrections, and show a serious lack of signal in the dark regions. 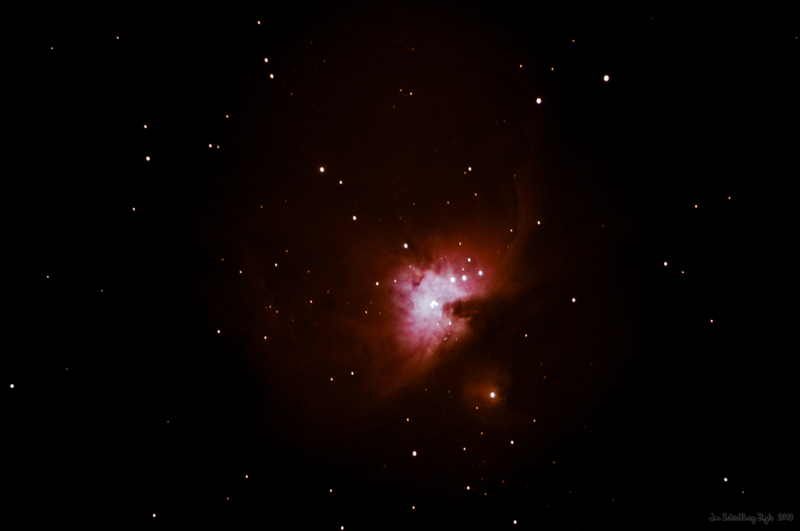 Orion Nebula (NGC 1976/ Messier 42) + NGC 1980, 1982, and the stars ιOri, θ1Ori, θ2Ori… Distance to object, approximately 1344 light-years.